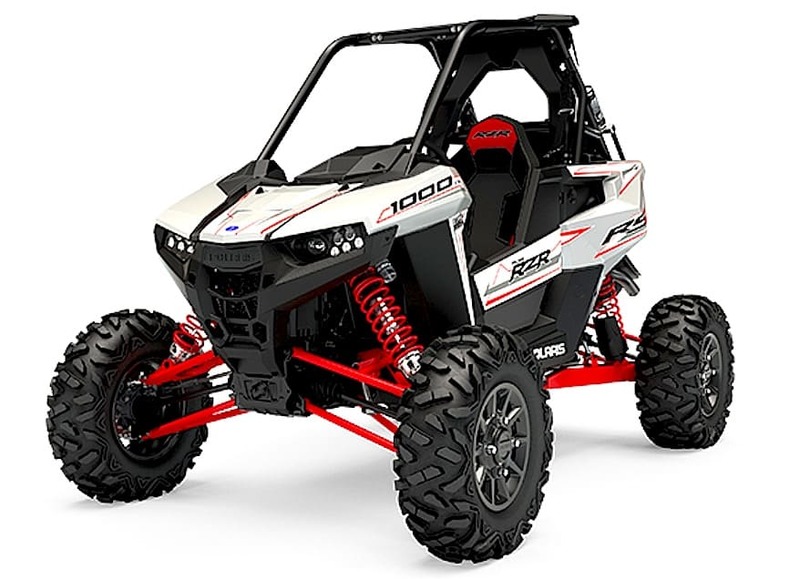 The guys at EMP were excited when they first saw the new Polaris RS1 single-seater, and they were eager to come out with some accessories to make it even better. 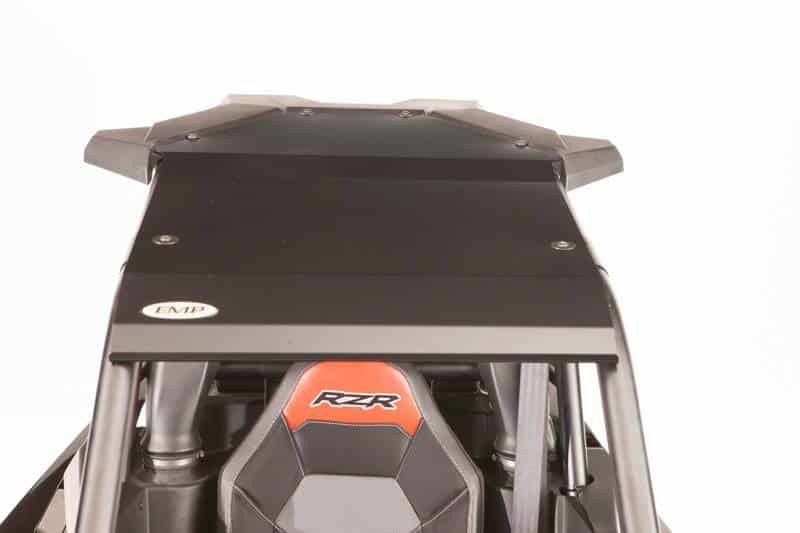 The first thing on their list is a new full windshield made to fit the RS1 perfectly. It’s thick 3/16″ Polycarbonate, hard coated on both sides, is DOT rated and attaches with Rubber Fast Straps. It sells for $159.99. 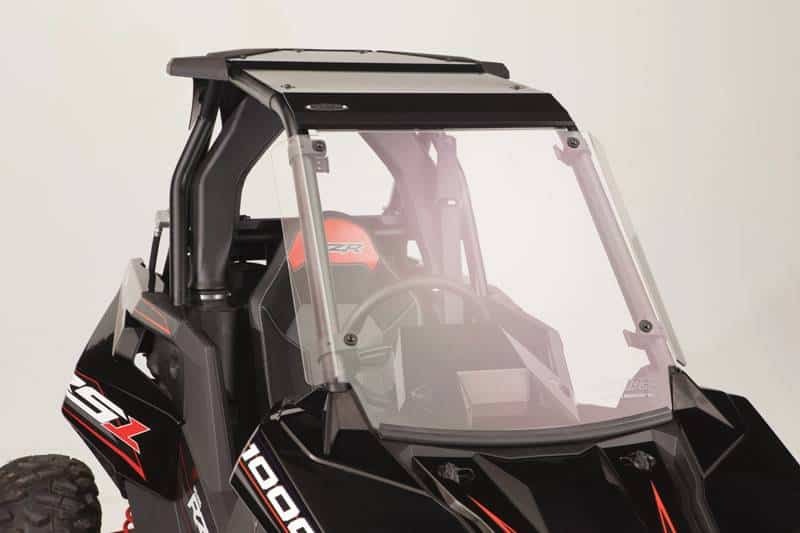 In case you like to get a little breeze on hotter days, EMP also offers a Half Windshield. It’s made exactly like the full windshield, but doesn’t come up as high. It sells for $102.99. Let’s say you’d like to be able to switch back and forth between half and full. Well. EMP has a special combo offer where you can get both for $219.99. You use one for hot days and the other for cold days. Another product EMP makes for the RS1 is a Rear Receiver Hitch. It replaces the stock plate and allows you to slide in a trailer hitch for towing. It’s powder coated to look good for a long time, and sells for $69.99. It’s good to have a sturdy roof on your RS1, so EMP has a cool Aluminum Top for it. Laser Cut and CNC formed makes sure it’s a perfect fit. 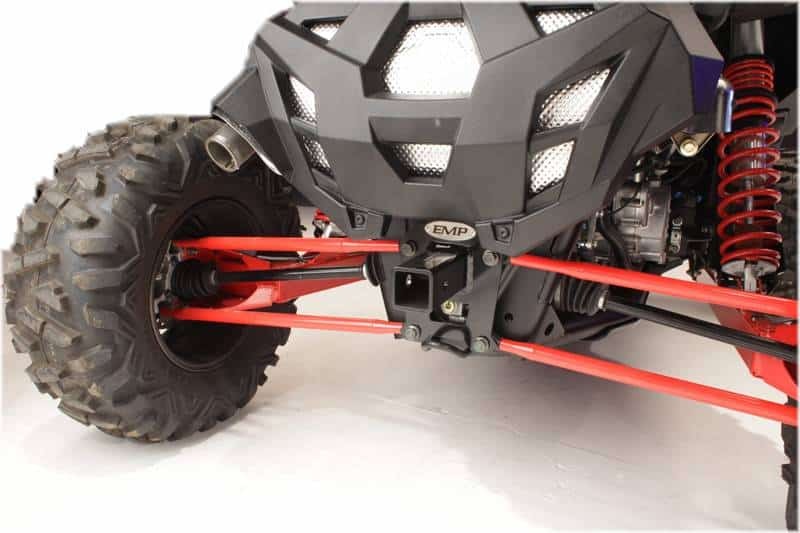 With black powder coating it sells for $164.99. 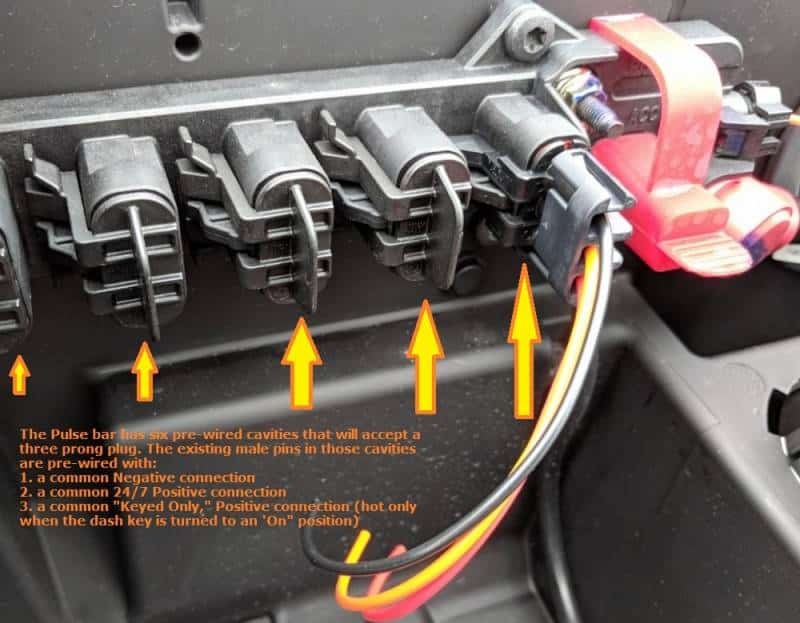 For adding electronics to your RS1 EMP has Pulse Bar Plugs set up with three 14 gauge wires in black, yellow, red for $22.99. 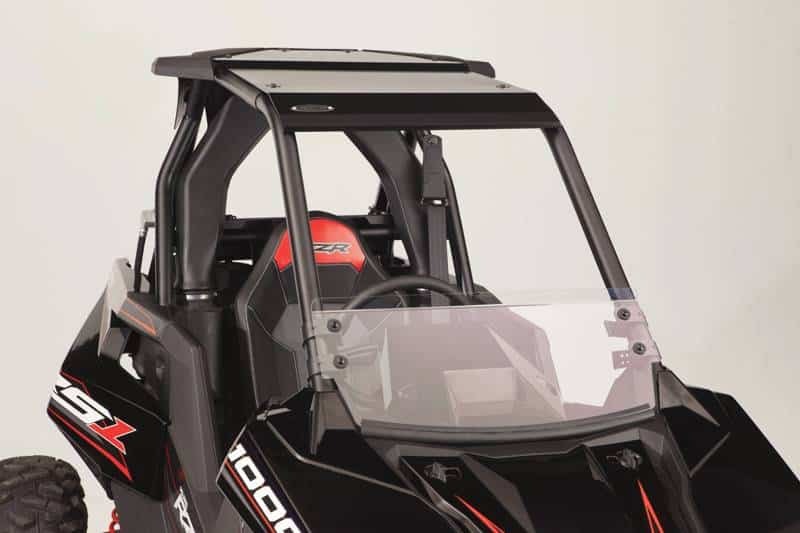 EMP also has some new accessories for the Ranger XP 1000 that just came out. They offer mirrors, light brackets and other handy items.